Every week, the Criticwire Survey asks film and TV critics two questions and publishes the results on Monday morning. (The answer to the second, “What is the best film in theaters right now?” can be found at the end of this post.) Send suggestions for future questions to sam at indiewire dot com. 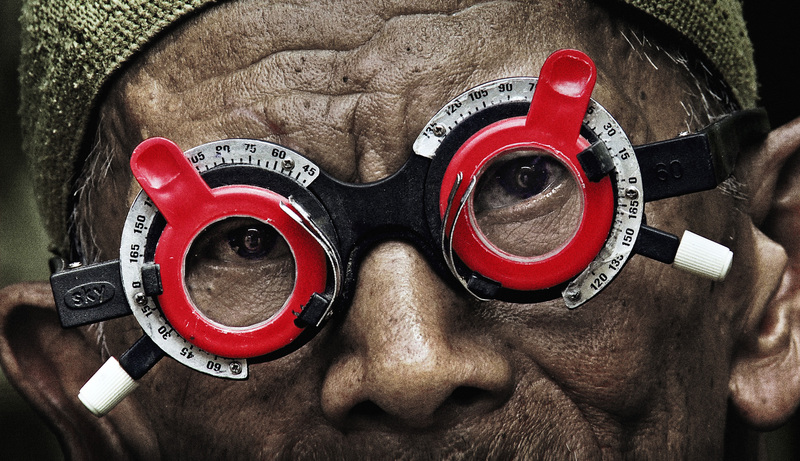 Indonesia’s 1965 genocide from a different, complementary perspective. similar subject from a new angle? “The Thin Blue Line” is not just my favorite documentary but one of my favorite films of any kind, so of course I’d love for Errol Morris to return to the story of Randall Adams — not just his release from Death Row as a result Morris’ film, but the bizarre lawsuit that followed (which found Adams suing Morris) and Adams’ subsequent fade from the spotlight (he’d been dead months before it was reported in the national press). Returning to the story would result in a film a good deal more personal than Mr. Morris’ norm, but it would offer the opportunity for a fascinating exploration of debt, forgiveness, and identity. Basically, I’d just really like Errol Morris to make more movies. I’d love to see a sequel to the documentary “Waking Sleeping Beauty.” I love hand-drawn animation (as you might expect); Disney is second to none in making these films, and as we all know, hand-drawn animation is now a fossilized form of features. Hand-drawn animation, we are told, often serves as the basis for computer-animated films like “Frozen,” but the finished product isn’t hand-drawn. But not too long ago, the Disney Renaissance, which essentially revitalized mainstream American animation, was pretty much all hand-drawn, with the exception of a few scenes and shots here and there. Considering that it’s a Disney-produced and distributed documentary, “Waking Sleeping Beauty” doesn’t cut too many corners, nor does it spend too much time trying to make people like Michael Eisner or Jeffrey Katzenberg look good. (Yes, by the time the film was released, neither man worked for the company, but the candid nature of the interviewees, never viewed in the talking-head format, is still pleasantly surprising.) “Waking Sleeping Beauty” climaxes with the release of “The Lion King,” one of the biggest smash hits in cinema history, let alone among Disney films. A sequel to “Waking Sleeping Beauty” could include the rest of the Disney Renaissance, how Pixar’s ascendancy in Hollywood sunk Disney’s fortunes, how Disney animation struggled in the early 2000s and then rebounded in the 2010s, or how Disney animation has now become the breeding ground for live-action blockbusters. Or a sequel could serve as the memorial service for the animation format that is the foundation for the Walt Disney Company. The options are pretty vast; I hope we get one of them sometime soon. 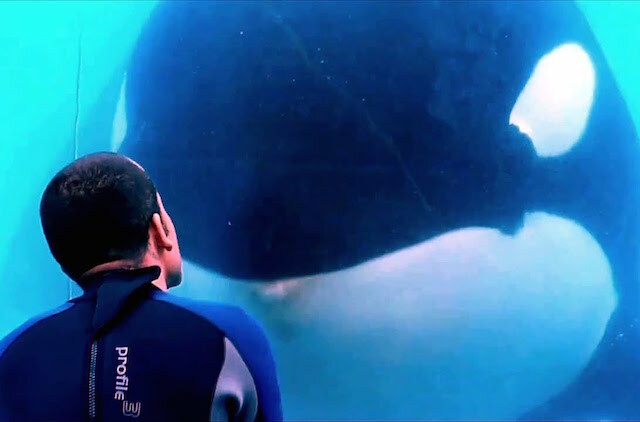 It’s been grotesquely fascinating to me watching Sea World’s attempts at P.R. spin in the wake of Gabriela Cowperthwaite’s “Blackfish.” I’d be interested in a follow-up not so much to find out if anything has changed with regard to the parks’ policies and procedures, but more as a case study in how a corporation tries to recover from something as damaging to its public image as that movie was. It might not pack the emotional punch that “Blackfish” did, but it might actually be more relevant to everyday American life: how corporations work not on changing behavior, but changing the conversation. I’d actually like to see a follow up to “Life Itself,” talking more about Roger Ebert’s legacy, the work Chaz Ebert is doing to honor his memory, and the overall impact that both his life and his passing has had on writers everywhere. It could really be something beautiful. It wouldn’t quite be a reconsideration of Ebert, but more a further consideration on the immense shadow he’s left on the world of film criticism. I’d love a follow-up to “Werner Herzog Eats His Shoe.” We know how it went down, but I’m curious to hear how it came out. Even though the whole thing is on YouTube and Ubu, John Berger’s four-part series “Ways of Seeing” remains underseen. I suspect many more folks have read the book based on the series, but Berger’s use of image and narration is beautifully didactic, questioning the mass media, feminism, and class relations in visual culture with the confidence, wit and dexterity we’ve seen in more recent work by Thom Andersen, John Gianvito, and the late Harun Farocki. But so much has changed since Berger’s “Ways” was published back in 1972! How does the circulation of images operate differently in the digital age? How do feminist concepts of the gaze apply or not apply to other marginalized groups? How has the West used images to occlude, if not erase, traces of the class struggle? It’s time for “Ways of Seeing 2.” Berger is still with us, but he should probably supervise it as a collective series with multiple filmmakers. It could be amazing. 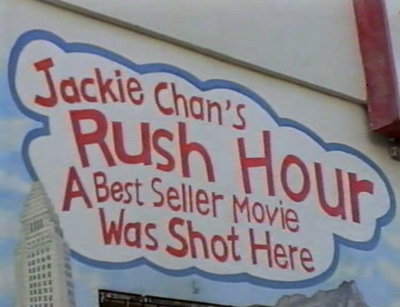 I’m happy Thom Andersen made “Los Angeles Plays Itself,” analyzing the film industry’s use and misuse of his hometown. I’d be even happier if regional filmmakers around the country would follow his example. Every city deserves to have its screen history documented with such discipline and acerbic wit. How about St. Louis or Minneapolis or Detroit, playing themselves? The coastal megacities have had their fun! “Seventeen” and “101,” in order to be sequelized, would have to be put into the context of how youth representation on film/video has drastically changed in the intervening years. The vast majority of the participants in “Holy Ghost People” and “Paris is Burning” are deceased, so it would require some serious investigative work as well as delicate treading to see if such a film could be made that was both honest and respectful. Sequels suggest there’s too much story that needs left to be told, which is a probably bad reason to make a documentary — story is usually the least interesting thing a documentary can do when compared to argumentation or visual thrill. That’s why I’d go with Haroun Farocki’s “In Comparison” for a film I’d love to watch a sequel to. The original is simply a series of scenes shot across the world that portray how various bricks are created for structures and what processes make them, offering a staunch portrayal of capitalism at its most materialist level. There’s no narrative and very little context, simply just a collection of scenes that create odd echoes between European countries and various African and Indian counterparts. The film is only an hour long, but it could go on for triple the length if Farocki had expanded it to look at Southeast Asia, Latin America, or the United States. While sounding the moods of randomly chosen people in Paris at a critical time in French politics, Jean Rouch and Edgar Morin, in “Chronicle of a Summer,” from 1960, also sounded their own and those of their friends, associates, and even family. In the process, they launched the term “cinéma vérité” and the unified field of full-circle referentiality that it implied, heightening both the investigative and the confessional power of documentary filmmaking. They proved that the modern documentary converged to modern fiction, and that both were a matter of investigation in form. In short, they made a cinematic revolution on the basis of simple inquiry at a moment of crisis that they recognized as a crisis. Eight years later, France was the terrain of another crisis, perhaps the most decisive one in modern politics and culture; the events of May ’68 were widely reported in the press, televised, photographed, and mythologized, but the great May 1968 film doesn’t exist–or, rather, Philippe Garrel’s long-lost film has only recently turned up but not yet been widely seen; and I haven’t seen it yet. In any case, Garrel, who was twenty, is a poet. I wish that Rouch and Morin had brought their unique combination of ethnography and sociology, of in-depth discussions and intimate revelations, to bear on that epochal near-revolution — all the more so because the potentially crucial alliance, and actually crucial division during those weeks, between student protesters and members of labor unions, was already reflected in the subjects who participated in “Chronicle.” Rouch and Morin had foreseen the vectors of May in the summer of 1960; if only they had been on hand to do the reporting and the self-criticism that it would have elicited; the result may well have been another leap ahead in documentary aesthetics to match the shuddering intensity of the passions in the streets and the backroom clashes alike. I’m going to cheat and suggest a time machine that allows D.A. Pennebaker and Chris Hegedus to do not a sequel, but a prequel of sorts to “The War Room,” their 1993 documentary about the campaign that put Bill Clinton in the White House. The prequel would be a hands-on look at the 1988 Michael Dukakis campaign that saw Dukakis and company failing to properly combat the particularly nasty tactics used by Lee Atwater and the George H.W. Bush team, from the Willie Horton fearmongering/racism baiting to attacks on Dukakis’ mental health. There’s a halfway decent doc called “Above the Fray” that sees Dukakis looking back on his campaign’s failures in retrospect, but I’d be more interested in seeing the Pennebaker/Hegedus take. So how’s that flux capacitor coming? “Titicut Follies Encore.” A look at what improvements the Comm of MA has made in the conditions at Bridgewater State Hospital or for the mentally ill in general. “Strip-Mining Harlan County.” The moribund state of labor unions in the US. “Primary Directive.” A follow-up to Robert Drew’s 1960 doc showing how the scheduling of primaries and the impact of dark money nearly guarantees that the worst candidate in either party has the best chance of being nominated. “Don’t Look Forward.” Bob Dylan’s current career trajectory. 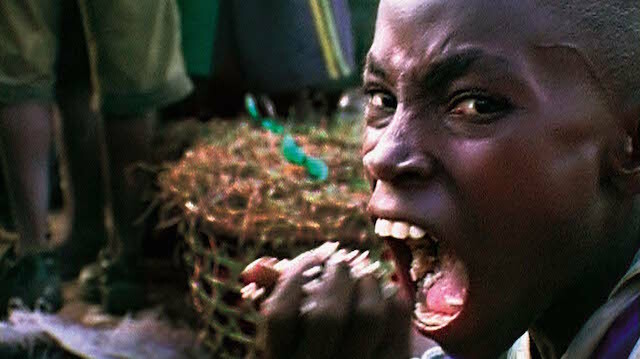 Hubert Sauper’s Oscar-nominated “Darwin’s Nightmare” from 2004 is the doc I would most like to see a follow-up to, although I‎’m not sure I could bear it. Such a bleak depiction it was of Tanzania, a country ravaged by a series of catastrophic follow-ons to a misguided government policy: the deliberate placing of predatory Nile perch in Lake Victoria, the country’s largest lake. The fish wiped out native species, which in turn destroyed not only the ecology of the region but also the local economy and culture, as environmental destruction, gun running, violence and AIDS all arrived like winged horsemen of the apocalypse. Sauper has a new film, “We Come in Peace,” that looks at South Sudan’s troubles, and I’m eager to see it. But it’s Tanzania that I’d most like to see him revisit. I think it would be interesting to see a sequel to “Spellbound” so we could find out what happened to those kids, what effect participating in the uber-competitive spelling bee had on them (if any), and whether they can still spell those complex words. I really loved “The King of Kong” when it first came out — it was sweet and emotional and raw, and even if facts have been disputed it was some of the best character-building I’d ever seen in a documentary. What’d be fascinating about a sequel, though, has nothing to do with video games; I’d instead like to see how such a brief spurt of fame and/or attention affected the lives of the original film’s characters. It’s basically an opportunity to see Heisenberg’s Uncertainty Principle in action, to see how observation has changed circumstances, which is probably the appeal for a lot of documentary sequels. But for these particular characters and this particular community, I think a follow-up would have special meaning. “Marwencol” was an astonishing documentary about Mark Hogencamp, a man who suffered a trauma after an attack, and found a way to make art to cope with the tragedy. That the film take an unexpected turn only made his story more exciting. I am curious to see how he fared in the period after the film was released. That said, I am discouraged that Robert Zemeckis is planning a fiction feature film about Mark’s story. I’m of two minds when it comes to documentary sequels. On the one hand, character-driven documentaries that are tightly constructed and well-edited feel complete as is, even if their subjects lives go on (for example, “American Movie” or “Cutie and the Boxer”). On the other, just as life continues, so too can the stories documentaries chronicle. I think an indirect sequel, applying the same aesthetic approach or lens to a new subject, could be most fruitful. For example, Frederick Wiseman’s investigation of institutions always seems fresh and can be applied to any location or topic. I think I’d like to see the titanic, prismatic style of “Leviathan” be utilized in a new context. The Harvard Sensory Ethnography Lab may rightly be worried of repeating themselves, but it would be thrilling to see another investigation of a new technology pushed to its breaking point for aesthetic gain. How about trading in the GoPros for drone cameras? 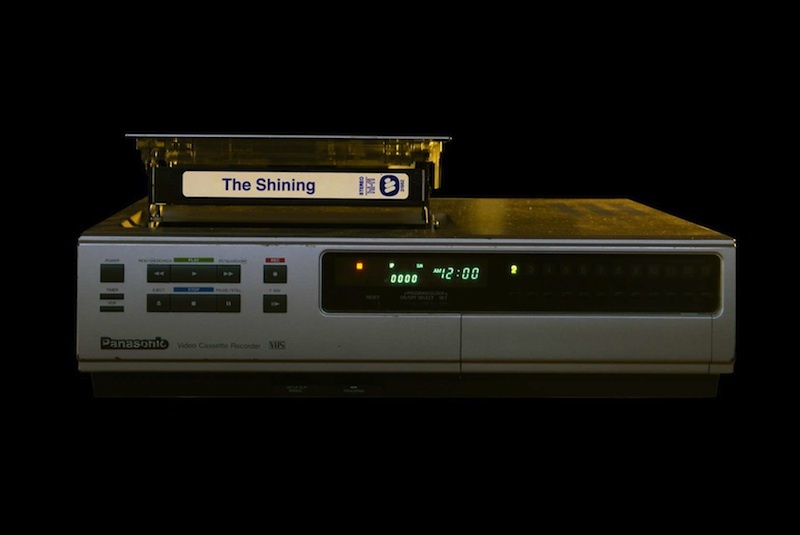 I’d be thrilled to see Rodney Ascher revisit “Room 237” every few years, crafting new cuts featuring more wild speculation and theorizing about what’s going on in Stanley Kubrick’s version of the Overlook Hotel. (Maybe he could add “Toy Story 3” director — and proprietor of his own “Shining” website, Lee Unkrich, into the mix.) And not that Frederick Wiseman is ever short of new subjects to tackle for one of his expansive, illuminating documentaries, but I’d welcome another installment in his “High School” series, joining the 1968 original (which filmed the students and teachers at a Philadelphia school) and its 1994 follow-up (filmed in New York’s Spanish Harlem). Those earlier films are remarkable for what they capture about the state of education and educational institutions at the time of their making; a “High School III” could similarly preserve the current status quo at a school in, say, Texas, Massachusetts or Louisiana for future generations of students and educators to be alternately amazed and embarrassed by. “The Aristocrats 2: What We Talk About When We Talk About Aristocrats” follows the cycles of Twitter outrage, hand-wringing think-pieces and awkward public apologies every time someone tells the joke. Documentary “sequels” offer an opportunity that fiction films often do not — namely, to either revisit the same material years on (“7-Up” series or “Paradise Lost” 1/2/3), to flesh out the story line from a different perspective (as per Oppenheimer’s Indonesian project), or to thematically do a similar take on a similar subject (where Scorsese’s films on George Harrison and Bob Dylan are related in terms of style and scope). Given all these possibilities there are a huge number I’d be excited to see revisited. “The Overnighters” is one of the most impressive and important docs of the last decade, and the story of Jay Reinke remains as complex and compelling as ever. Given the recent tragedy that befell “Hoop Dreams'” subject Shawn Harrington a follow-up would certainly be interesting. I’d love to see Scorsese’s epic music doc aesthetic applied to other artists, maybe Springsteen, Paul Simon, Otis Redding or The Rolling Stones. I’d be excited to see what A.J. Schnack would do as a follow-up to Caucus given Donald Trump’s recent campaign, as would a look into Hillary Clinton’s War Room be a nice companion piece to her husband’s first run. Frankly, most of the best narrative docs would do well to have “follow-up” or companion pieces similar to what Oppenheimer has done. As for the least deserving of a sequel? Well, “Triumph of the Will” would certainly make a play for that dubious honour. think the topic’s worth revisiting past its landmark anniversary. changed their function in the last two decades. disposable item the consumer at a fast fashion chain store buys. investigations in “The True Cost” have all the makings of a mini-series.